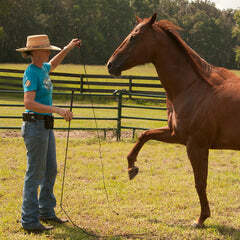 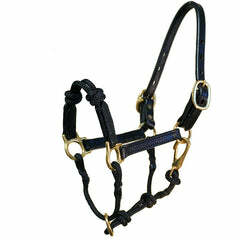 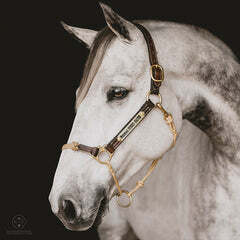 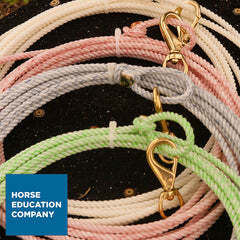 safety and REAL control in one halter. 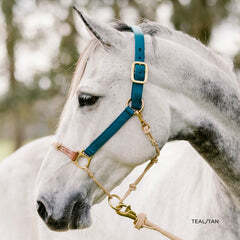 Granted an official patent for its innovative design, the HYBRID Halter is the first major revolution in headcollars in 25 years and has been put to the test under the widest possible range of horse handling conditions. 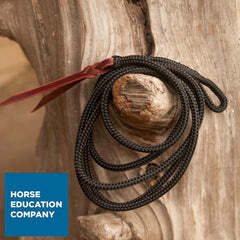 It is a combination of leather horse halters and rope halters, with a sliding ring to make lungeing easy and noseband knots for control. 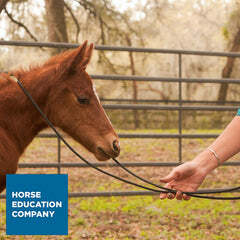 It eliminates head twisting, knot tying hassles and stripped buckle holes while being safe for trailering, crosstying and even hackamore riding. 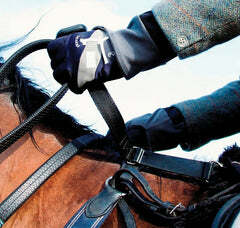 It is made in the USA, completely repairable, assembled of the best wearing materials. 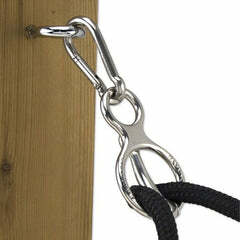 Our most popular style, the Nylon Classic has solid brass hardware and a rope undercarriage. 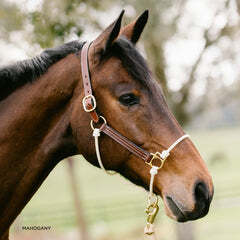 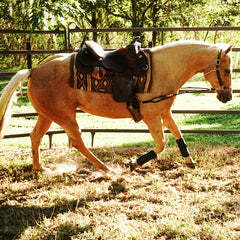 This same style is also offered in a triple stitched leather halter. 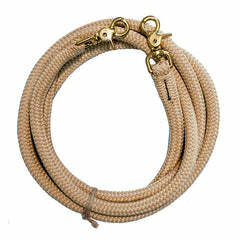 Our Economy version offers a thicker rolled nylon undercarriage and brass plated hardware. 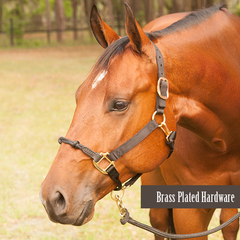 All can be customized with a personalized halter nameplate. 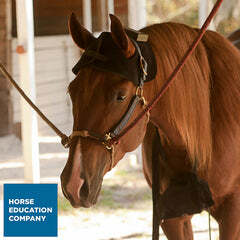 After you receive your headcollar, we will personally follow up with you to make sure its fit and function is just exactly what you expect and help you arrange any size exchanges if necessary.